As we fully enter the cooler weather of fall, with winter just around the corner, there will not be too many more opportunities to play a comfortable round of golf. However, if you are looking for one more round before the season ends, you should partake in the Turkey Trot Open on November 17, 2018. This exciting tournament takes place at Eagle’s Landing Golf Course which is only about 25 minutes from the Fenwick Inn. The tournament is a 4-person scramble with a 9:30 AM shotgun start. In addition to a fabulous round of golf, entry in the tournament includes a turkey dinner. Whether you are a scratch golfer or weekend warrior, the Turkey Trot Open is a great golfing experience to end the season. 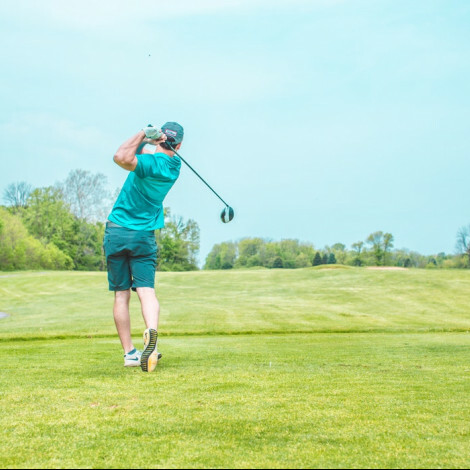 With open fairways, challenging hazards, and beautiful greens, Eagle’s Landing is a golf course that you will want to scratch off of your golfer’s bucket list.